After facing a neck-and-neck Renault Kwid’s competition, Maruti Suzuki has now decided to give its Alto 800 a new shape and look. 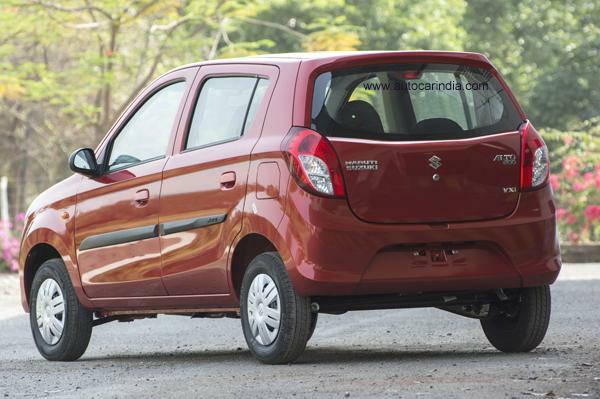 AutoCarIndia has posted few exclusive photos of the brand new facelift of Alto 800. 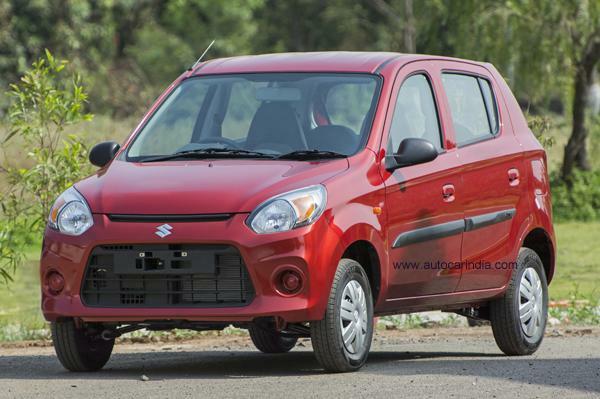 The all new Maruti Alto 800 facelift gets minor cosmetic upgrades and this yet-to-be-launched Alto 800 car has been fully revealed in a media review. The facelift version of the car is primarily aimed to maintain the cars appeal. Alto 800 is the best selling car from Suzuki which is recently seeing a tough competition in the form of Renault Kwid. The leaked exclusive photos of new Alto 800 reveals the visual changes in the front fascia. The refreshed Alto 800 gets a slit-like grill, a very prominent trapezoidal secondary air dam and also a new circular fog light enclosures. One could easily notice the turn indicators in the car’s headlamp comes with the orange tinted ones replacing the clear lens. There is no noticeable sheet metal changes. Talking about the interiors, the refreshed Alto 800 gets a brand new seat fabrics and door trims. The higher variants of the car gets a brand new audio system that fits well in the centre console of the car. The base variant of the new Alto 800 gets a passenger side wing mirror where as the higher variants of Alto 800 offers more storage space at the rear in addition to child seat mounts. The top-end VXi trim of refreshed Alto 800 gets features like front power windows, central locking system, music system, rear spoiler, hubcaps and remote keyless entry. The car maker also offers optional driver airbag across all the available trims. The facelift verison of Maruti Alto 800 facelift has already started arriving at the dealerships across the country and the launch shall soon happen. The price of the new Alto 800 Facelift is expected to remain the same.